Barcelona’s amazing climate means there are year-round outdoor events, as well as holidays pretty much every week come springtime. You’ll need a lot of stamina to experience all of these, especially since people here party deep into the night, but it will be absolutely worth it. Fiesta de Sant Joan – On June 23rd of every year, Catalans welcome summer with one of the craziest celebrations you’ll see in any city. In the days beforehand, fireworks vendors set up kiosks all over Barcelona and along the highways outside of town so locals can load up on everything from harmless firecrackers to scary, missile-like fireworks. 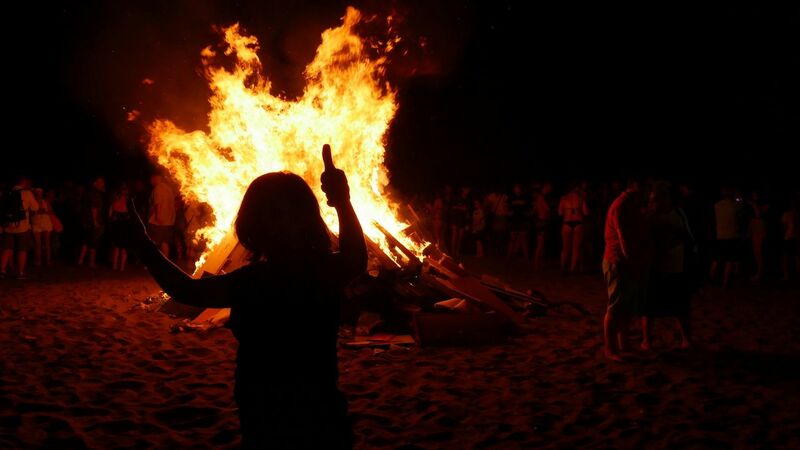 As the sun sets on the 23rd, locals light up the beaches with bonfires, writing negative things they’d like to leave behind on strips of paper, and casting them into the fire to symbolically start anew. Some people even leap over the bonfires, but everyone will jump into the water when midnight strikes. Fireworks are launched from balconies, rooftops, and anywhere else people can think of, illuminating a wild night of partying. It’s also known as the Festival of San Juan and St. John’s Eve, depending on who you ask. 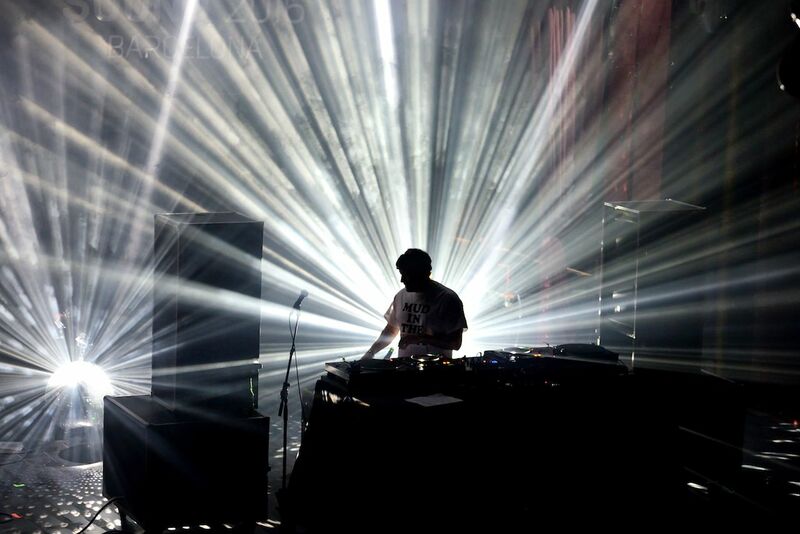 Sónar Music Festival – This June event draws a large crowd from all over Europe, and features some of your favorite international DJs. 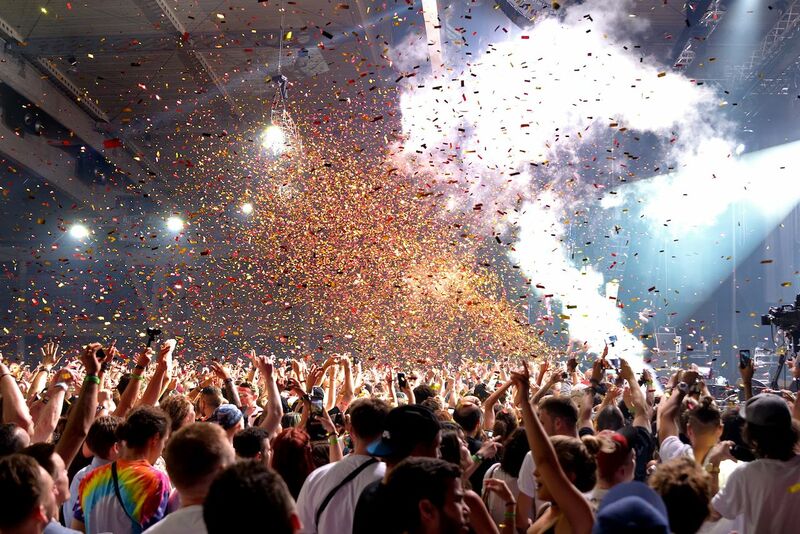 It’s fairly pricey, but you can opt for a cheaper version called “Off-Sónar”; the same type of DJ event, just at a quieter area of the beach with lesser-known performers. Gay Pride Sitges – The charming seaside town of Sitges, just outside of Barcelona, hosts one of the most iconic Gay Pride events in Europe every June. People from all over the continent and even the world come here to embrace their identity and party along the Mediterranean Sea. The streets are filled with music and bright colors, and the drag shows throughout the day and into the late hours of the night are definitely not to be missed. 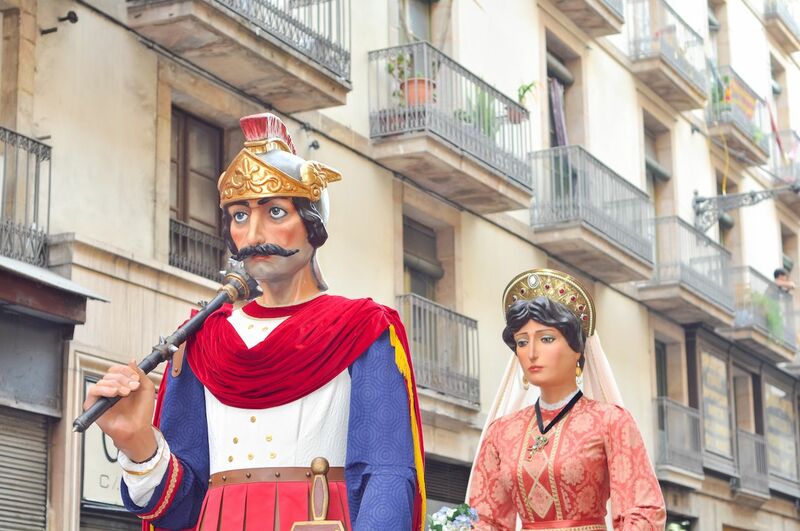 If you can’t make it out to Sitges, there are many other LGBTQ celebrations and parades in Barcelona. 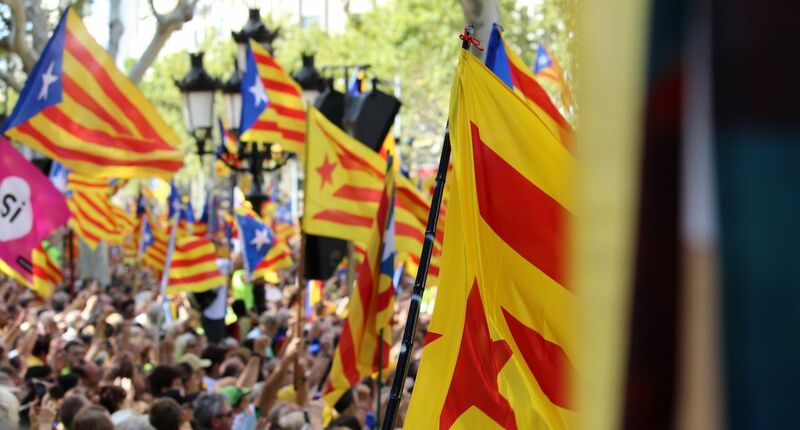 La Diada – Otherwise known as the National Day of Catalonia, this massive holiday falls on September 11th and commemorates the fall of Barcelona during the War of Spanish Succession. Head to the streets surrounding Plaça Sant Jaume to see elaborate human pyramids, cheering crowds, and a sea of Catalonian flags. La Merce – This festival from September 21st to 24th started out over a hundred years ago as a Catholic celebration for Our Lady of Mercy. There are hundreds of events all over town, but the two most unique, dangerous, and thrilling ones are the human towers made by castellers, kids and adults who train year round, and the correfoc. In the correfoc, dancers dressed as devils shoot fireworks into the crowd. Some people come specially dressed to protect themselves, and see how close they can get without getting burned. Los Reyes Magos – Most Spanish kids have to wait well past December 25th and New Year’s to get their holiday presents. 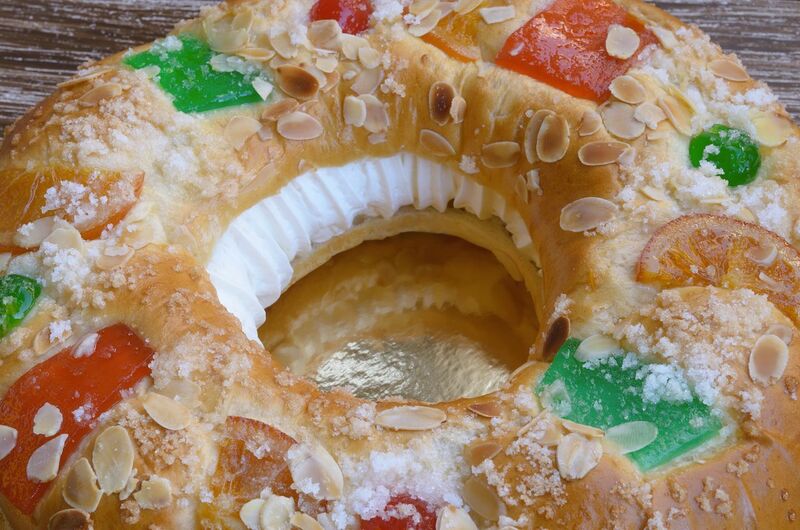 Los Reyes Magos commemorates when the Three Kings (or the Wise Men, as many people know them) were said to have arrived at Jesus’ manger, and is a lot more important to Spanish Catholics than Santa Claus. The Procession of the Magic Kings, on the night of January 5th, is a parade that starts at the beach and goes all around town, attracting both kids and grown-up Christmas enthusiasts. 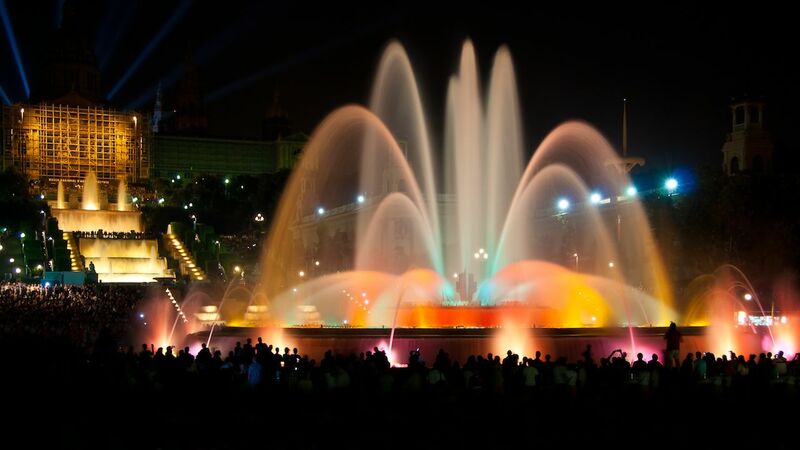 The Magic Fountain show at Plaça Espanya – Beginning in March and lasting through November, this mesmerizing, free light show is a traveler favorite. It’s also set to music, which really helps bring Montjuïc alive at night. 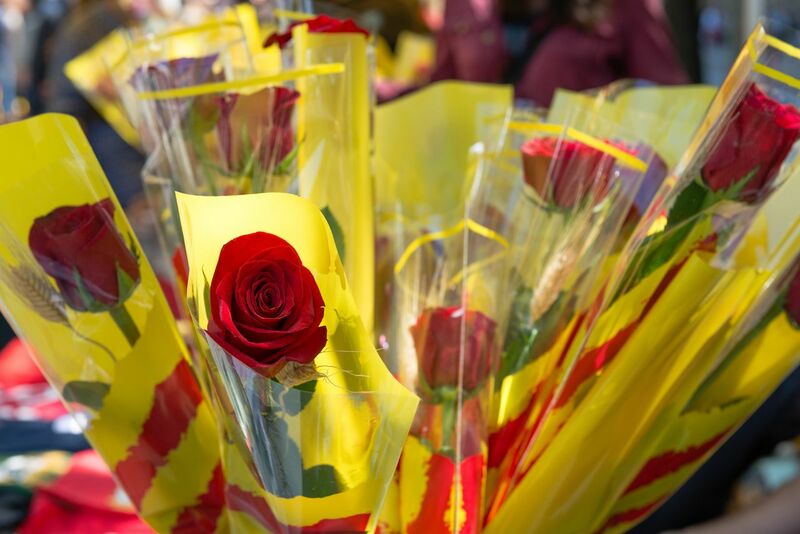 Sant Jordi – This is Catalonia’s version of Valentine’s Day. Traditionally, the boy is supposed to give the girl a rose, while the girl gives the boy a book. It takes place on April 23rd, and even if you don’t have a significant other, you can still enjoy the stunning sight of the entire Casa Batlló decorated with red roses. You’ll have shops selling roses and book vendors setting up tables all over town. Primavera Sound – Another big music festival in town, Primavera happens during the last weekend of May. It features an eclectic mix of performers from a wide variety of genres; the headliners for 2018 included A$AP Rocky, Haim, Arctic Monkeys, The National, and even Björk. 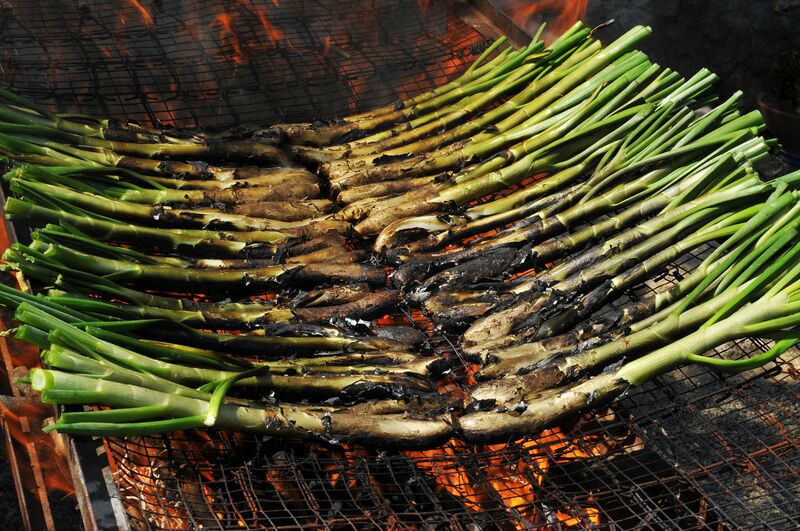 Calçotada – This is one of the most delicious Catalan traditions. Starting around February and going until April, you can enjoy a specialty dish celebrating the spring onion: giant, charcoal-grilled spring onions, dipped in Romesco sauce, and served upside down (per tradition). You’ll have to wear a bib because things get messy quickly. The meal is accompanied by ample amounts of wine, drunk straight from a special jug. You can either stay in town and have the dish at one of the squares in Gràcia or go to Can Carbonell, a great restaurant outside of town that local celebrities visit to get sloppy with some onions.